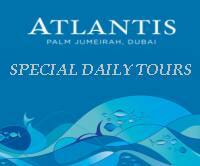 Dubai Luxury Tours Tours Desert Safaris and online hotel reservations. Lowest Rates Guaranteed. Stay at 7 Star deluxe hotel have an exclusive private desert Safari and cruise in your own private Dhow, these tours offer you ultimate luxury and a personal touch. You will have a dedicated guide who will always be at your service.